Imported from a prestigious Colombian farm, Guarani, a 1987 son of Romancero who is a direct son of Resorte IV and his dam, Guaratara, is a beautiful refined, incredibly Fino stallion. 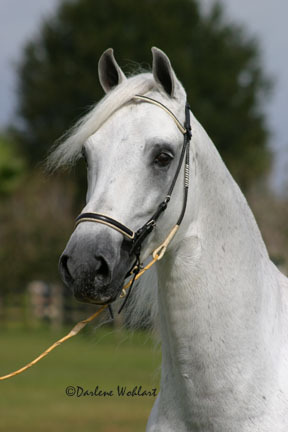 Cancionero, the late, well known Classic Fino champion was also sired by Romancero. 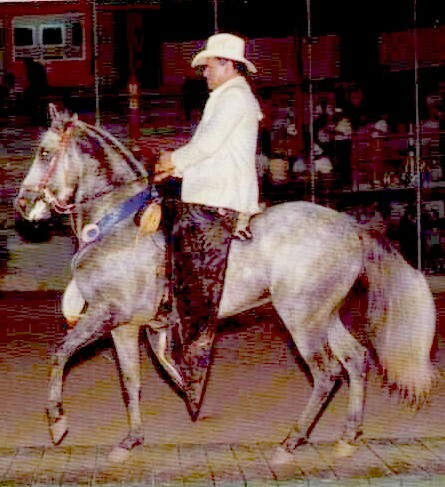 Guarani had a successful Fino show career which included a Grand Fino Championship in 1990 in Caguas , Puerto Rico as a three year old. As a four year old, Guarani won a Grand Championship in Georgia in 1991 and also was 3rd National Champion 4 year old Classic Fino Schooling Colt that year. Guarani is a very naturally, tight gaited, beautiful stallion who has many outstanding fino, pleasure and performance gaited offspring. 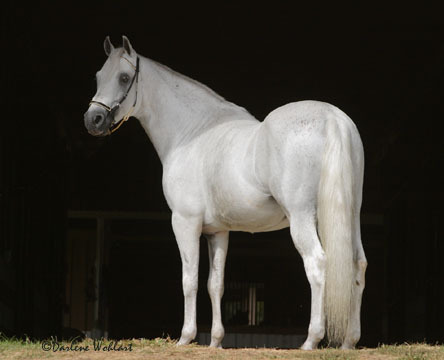 At the 2005 Confepaso Mundial held in San Juan , Puerto Rico , a son of Guarani’s, Romancero, was crowned the Champion Amateur Owner Stallion in a very competitive class. Guarani is standing at stud at Winning Colors Paso Finos and is owned by Maria Bonita Paso Fino Corporation of Puerto Rico.